Ayurveda is becoming increasingly popular among the younger generation. By that, we don’t only mean celebrities who are taking to an Ayurvedic lifestyle and yoga. Cricketers are also adopting Ayurvedic principles and yoga during times of rest and healing. Read more about Ayurveda for cricket here. These cricketers have adopted an Ayurvedic routine in their daily lifestyle. Yuvraj Singh has to be one of the most loved cricketers in India. He has stirred up much cricket buzz all over the country. Of course, we all know he recently made an amazing recovery from cancer. Yuvraj, in fact, adopted yoga as part of his Ayurvedic natural lifestyle to help the healing process. He underwent a surgery to treat his tumour after which he turned to yoga to speed up his recovery and prepare him for his comeback to international cricket. He says he practices yogic breathing exercises to get his breath back and it also helped him rejuvenate both mentally and physically. After a long day’s workout on the field, he practices yoga to de-stress and recover. 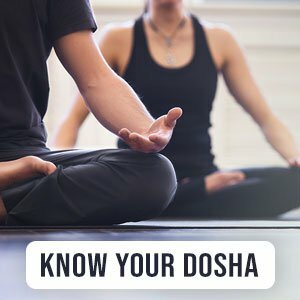 Some of the yoga techniques which he frequently practices are Dharna, Pranayama and meditation. Dharna is usually used to improve concentration. In this, the mind is kept firm without allowing it much scope to wander. This reduces stress and improves mental health. Yuvraj practiced pranayama every day on his road to recovery. These are basically breathing exercises to improve your breathing abilities. Pranayama is also known as the restraint of breath and focuses on you holding your breath. After his surgery, Yuvraj was left emotionally stressed as well. Meditation helped him let go of any negativity and embrace positivity which helped him recover. Meditation trains the mind to stop wandering through the future and the past. It helps you focus on clearing your thoughts and releasing negativity. Apart from Yuvraj, Sreesanth is another popular cricketer who adopted Ayurveda to help cure his injury. He injured his right shoulder while playing and was likely to have to undergo a surgery. At this time, he turned to Ayurveda and was healed quickly. He says he would have otherwise lost at least six months playing time if it was not for his Ayurvedic treatment.